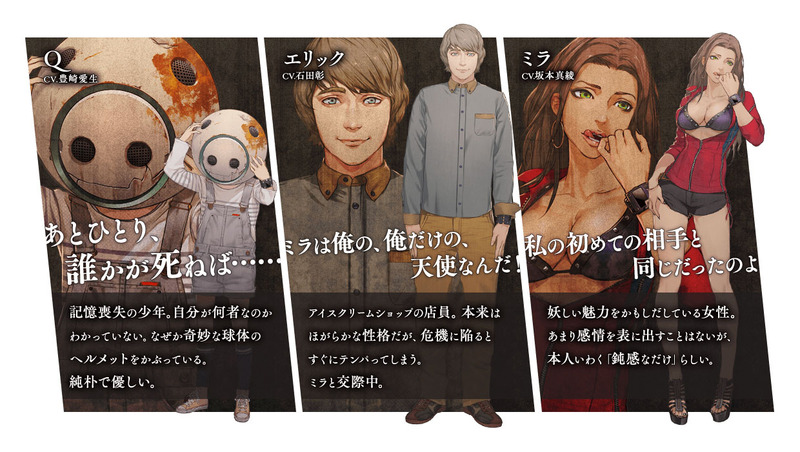 Spike Chunsoft has opened the official Japanese website for Zero Time Dilemma, the third entry in the Zero Escape series due out for PS Vita and 3DS in North America and Europe this summer. 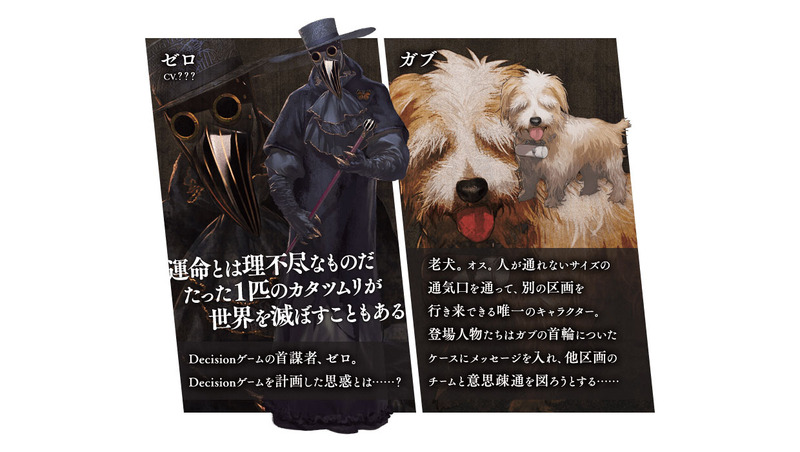 The website shares a slew of new information, including prologue and character information, as well as news that the first trailer will be released this Thursday, March 17. The future of all humanity—all eight billion people—rests on their Decision. 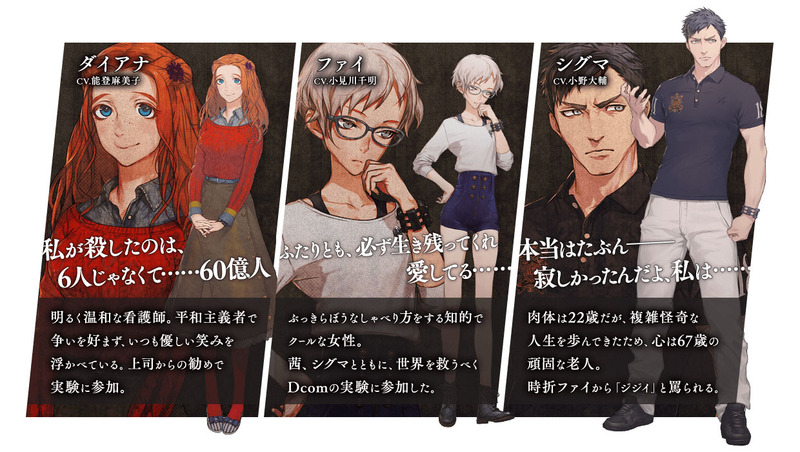 This is an an adventure / escape game where a group of people locked up in a facility by a mysterious character known as “Zero” are forced into a death game. During “Cinema Part” event scenes, you’ll experience conversation scenes displayed through character acting and dialogue without the use of text windows. 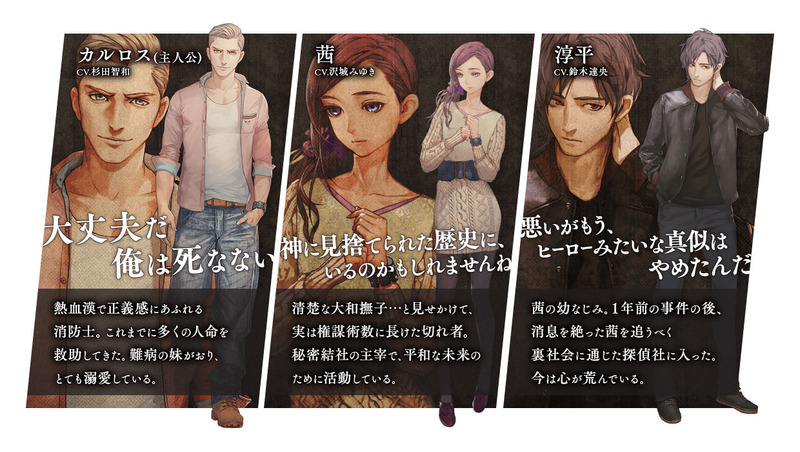 The characters are fully voiced to create a sense of reality similar to a movie or foreign drama.